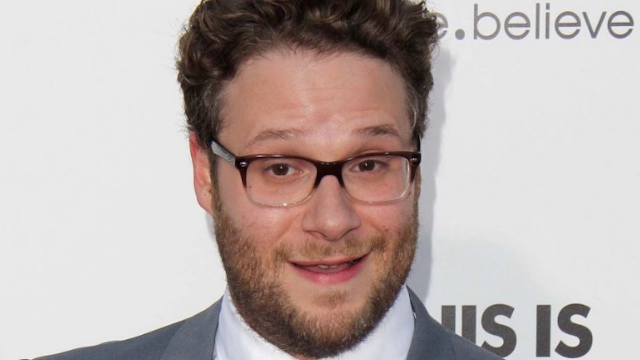 Seth Rogen’s mom just embarrassed the crap out of him on Twitter and people are living for it. Sometimes moms are embarrassing. Okay, well, lots of times moms are embarrassing, but it's sort of like that's part of their job. They just wouldn't be good moms if they weren't occasionally making us cringe. And Seth Rogen's lovely, wonderful, hilarious mom Sandy is no different. She's got a Twitter account, and she uses it to make observations about her life, promote stuff her son has done or is part of, and sometimes talk about ladies' private bits in yoga class. You know, typical mom fare. Ms. Rogen tweeted about a phenomenon that many women (and maybe men?) are familiar with — overly revealing yoga pants. She tweeted about something that every woman who's ever taken a yoga class has probably had to consider: "In yoga when you can see the very private parts of the woman in front of you through her pants, should you tell her? Maybe the person behind me can see the outline of my private parts. Dilemma." And, embarrassed or not, Seth Rogen quote-tweeted his mom, adding his own thoughts on the matter, which were simply, "Jesus mom." That prompted Ms. Rogen to tweet again, explaining, "Well it was real and i wonder if she really would have wanted her 'hoo hoo' so obvious." Hey, fair enough. Would you want someone to tell you, or would you not? Hard to say. I guess yes to prevent future embarrassment, but that one moment of hearing about it would be such excruciating humiliation. Anyway, people on Twitter, who generally love the interactions between Seth and his mom, weighed in, some with jokes of their own, but most just cracking up at just how funny the whole thing was. Guess I'm following your mom now. Some moms related that they love embarrassing their kids, or that they were looking forward to the wonderful day that they, too, could begin to embarrass their children. I feel better.. I embarrass my son with stuff like this all the time.